A what? A bunting. Per Dictionary.com a light cotton used for making flags or a group of flags. The bunting is only printed on one side. The back is various canvas samples from the JoAnne discount bin. I started with a template from Pink Suede Shoe and folded the top down 1 3/4″ for more of a half circle. This tutorial even takes you through smoothing the round edges and binding, great resource. 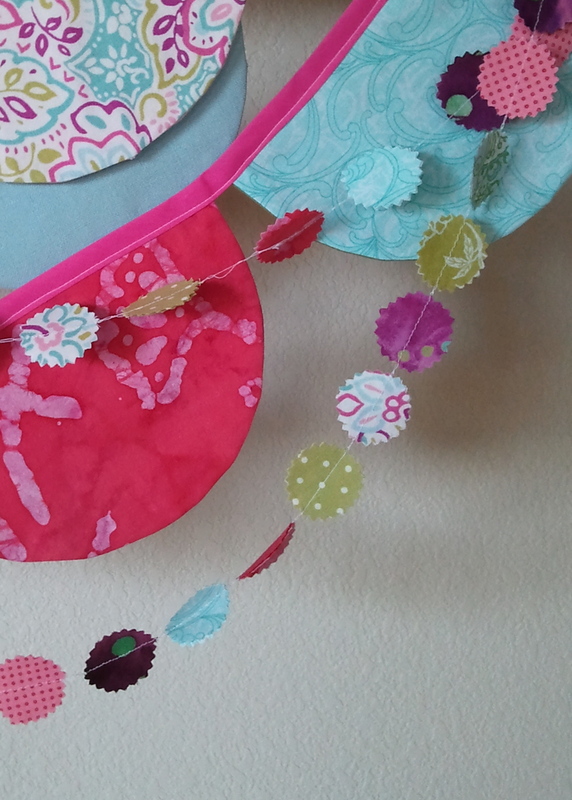 The small circle garland is super easy and the perfect whimsical counterpart to the semi-circle bunting. I just cut around two 1″ circles (backs together) with pinking sheers and ran them through the sewing machine back to back. 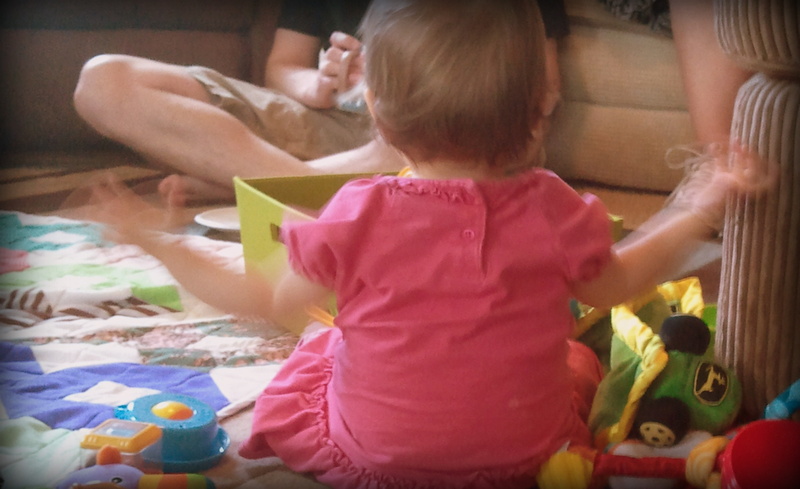 Baby girl will be turning one two weeks, so we’ve been crafting and planning a fun day to celebrate her.